Sree is a mound of rice powder in the baron dala, symbolizing Goddess Lakshmi. 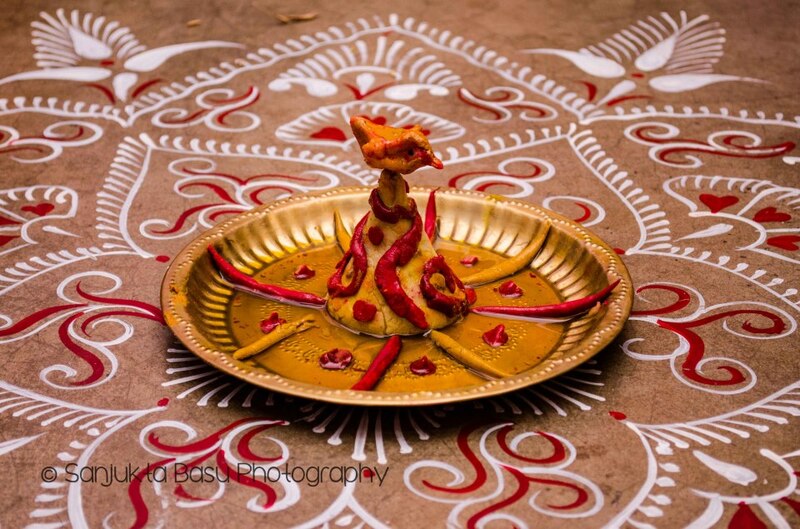 It is an integral part of the baron dala and is used while welcoming the bride and the groom post-wedding. Sree is made by the women in the Bride’s family, a day before the wedding. Auspicious things like turmeric, sindoor (vermilion), mustard oil is used along with the rice powder to make the dough and it is shaped like a pointing mount. Sree is considered as Goddess Lakshmi and her blessings are sought to make the marriage a successful one. Role of rice in Bengali weddings is vital and it is used in the almost all the rituals. So, rice is used while preparing it as well.